No doubt the Renoir is one of the best LG handsets currently on the market, thanks to its great multimedia features and decent 8-megapixel camera. We already saw LG brush up the make with the KC910i and its thoroughly black housing and dainty add-ons. Now, it seems LG feels guilty about neglecting its female customers. 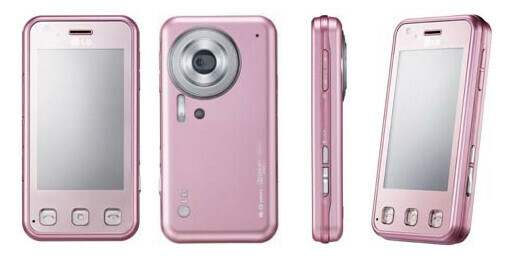 The manufacturer has whipped up, as a token of gratitude no doubt, a brand new, pink version of its camera phone. It should already be available in stores across the world as we speak, but we think we´d rather wait and go for a pink Viewty Smart instead.